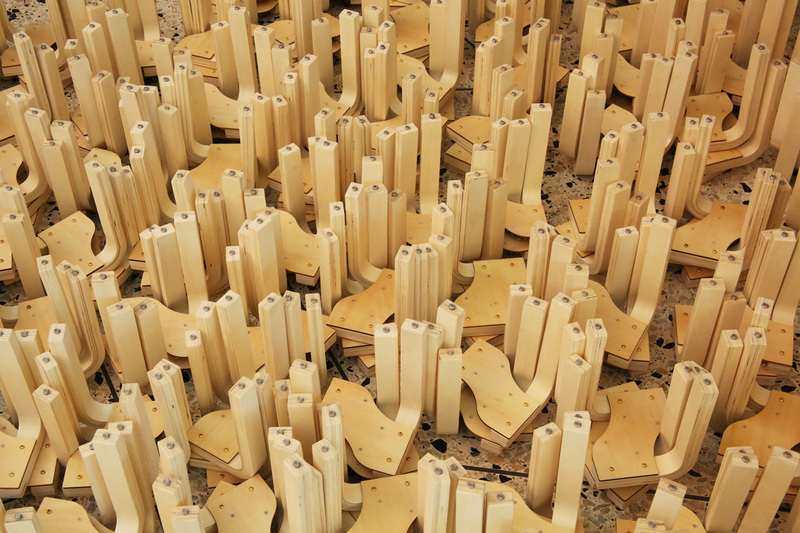 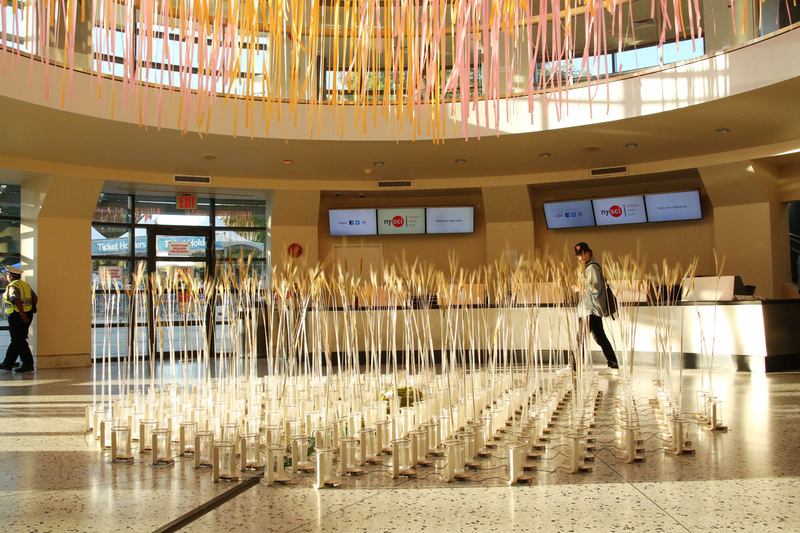 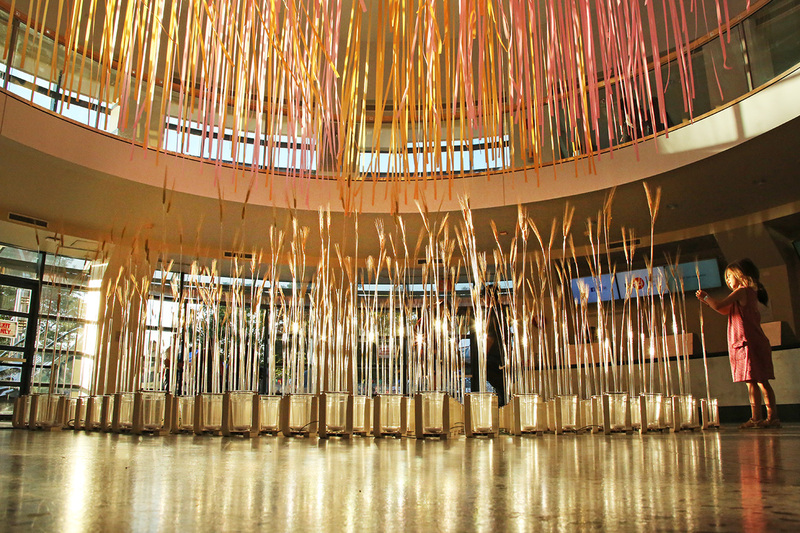 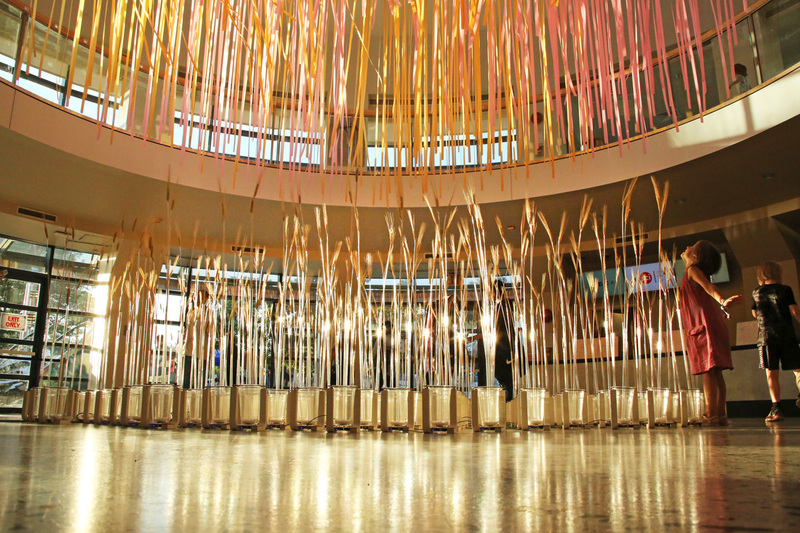 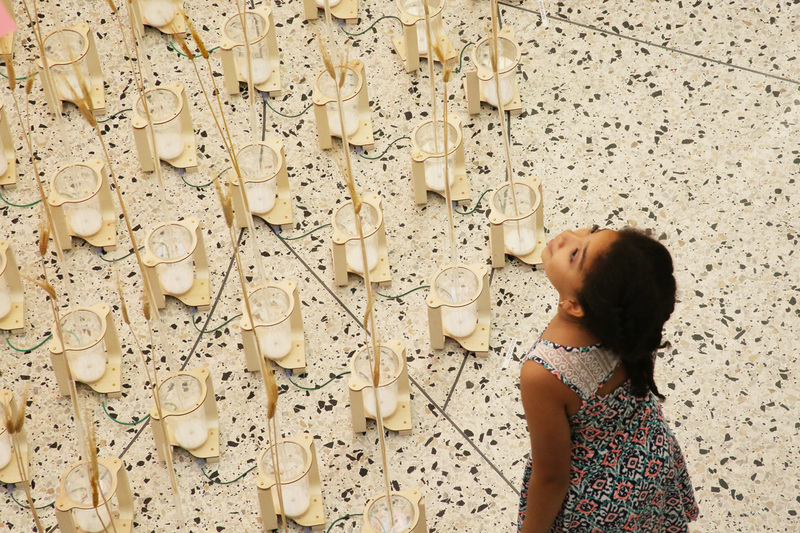 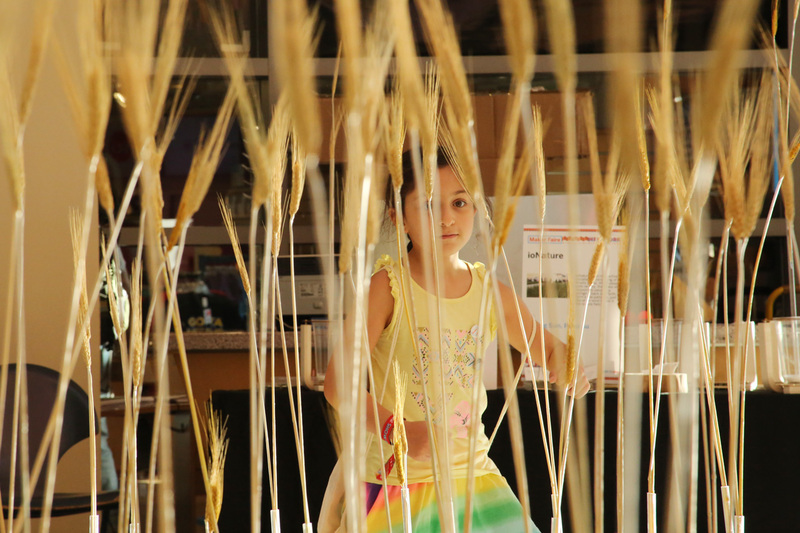 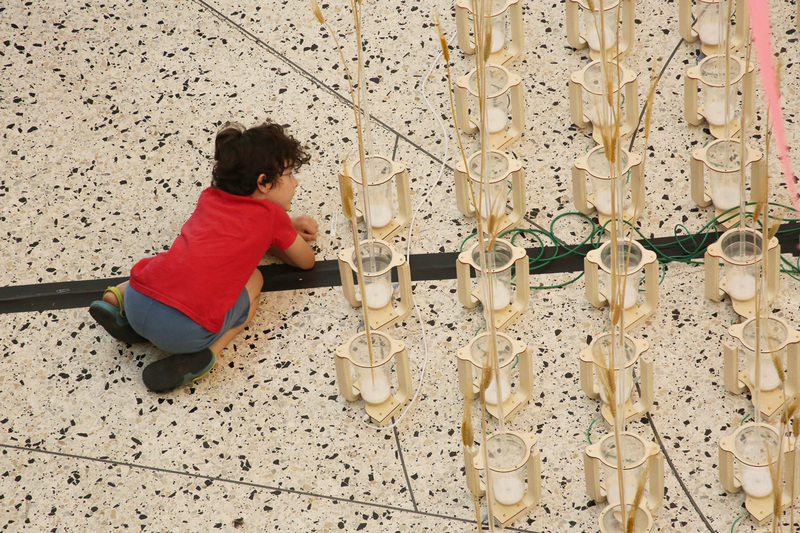 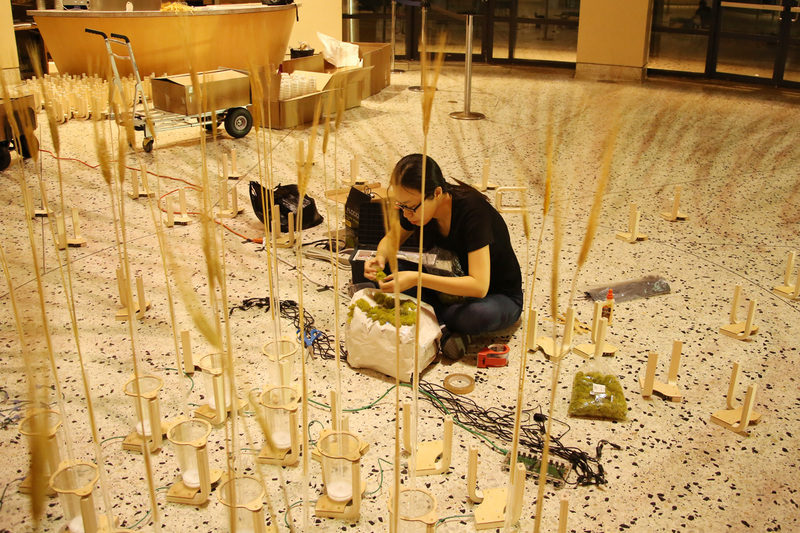 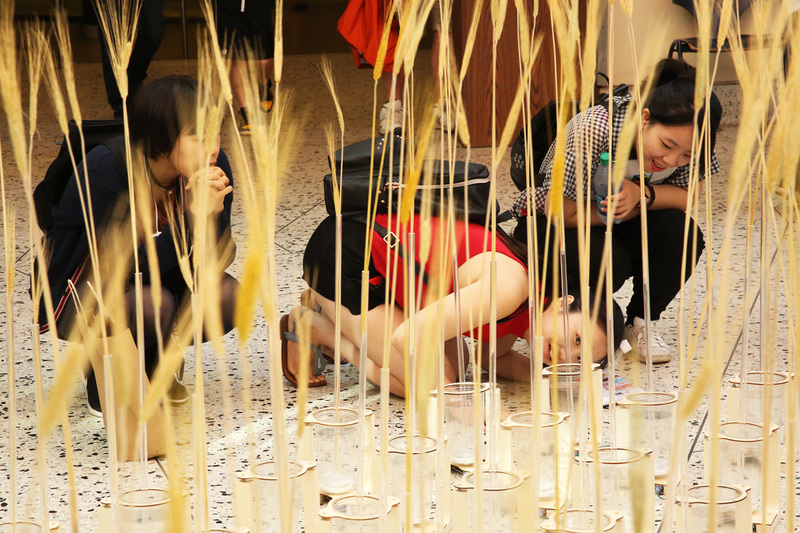 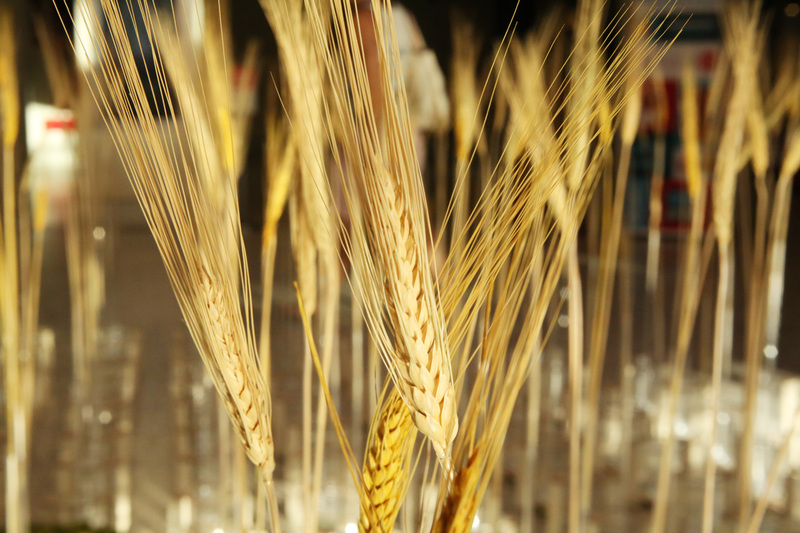 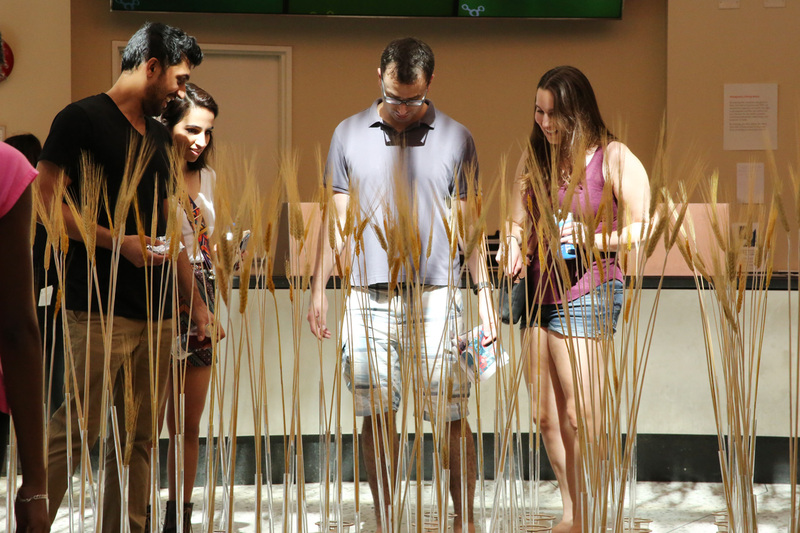 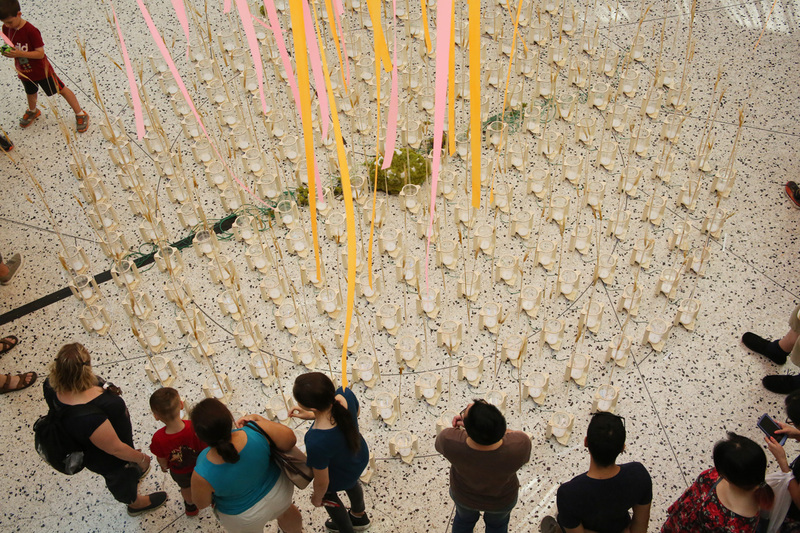 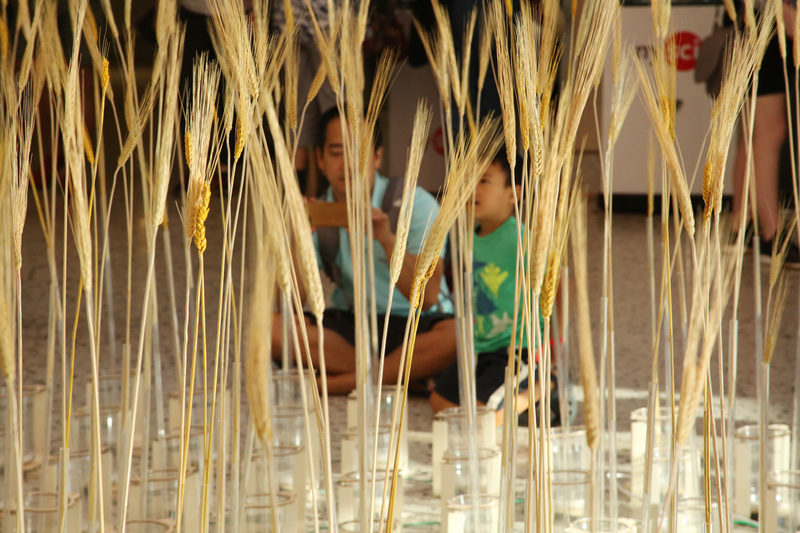 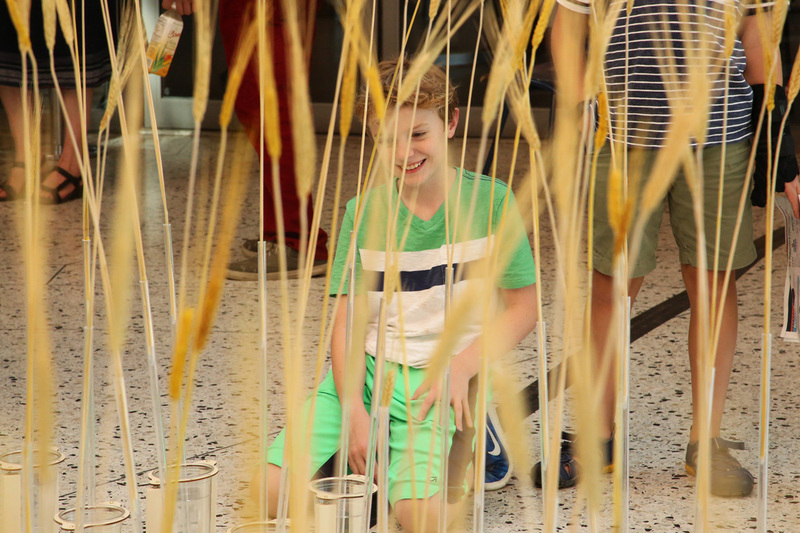 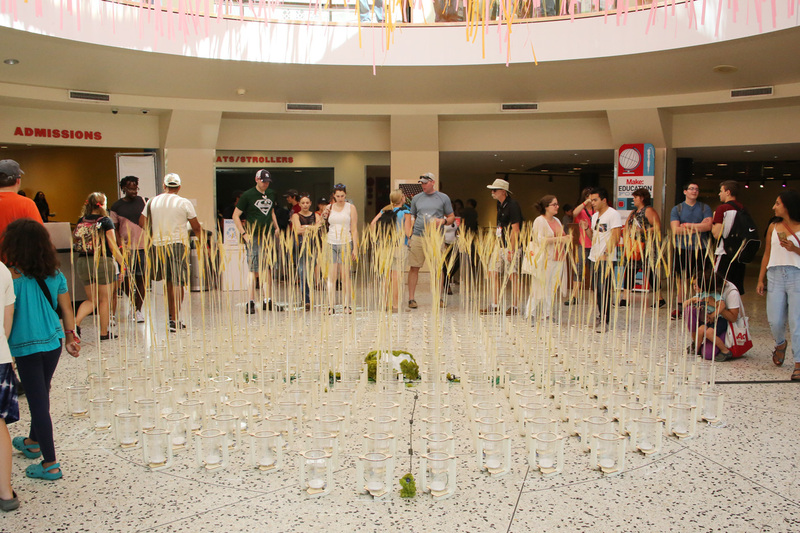 An interactive installation using kinetic wheat to represent the connected world, in autumn. 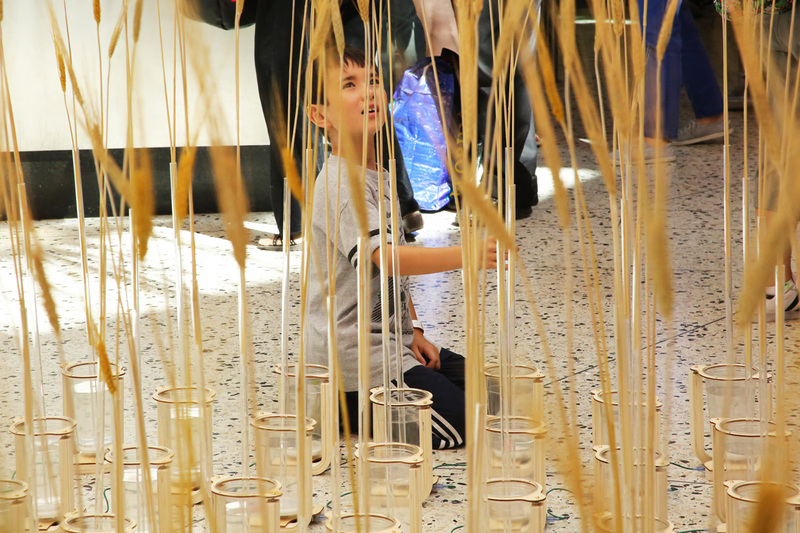 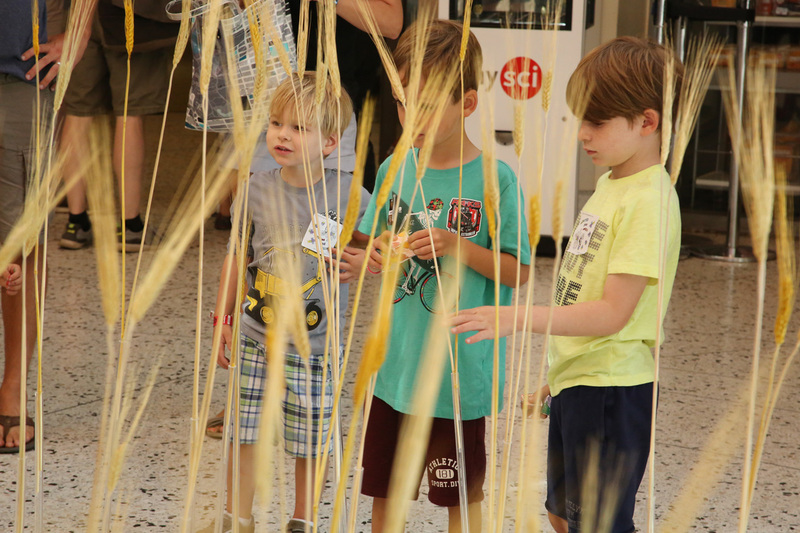 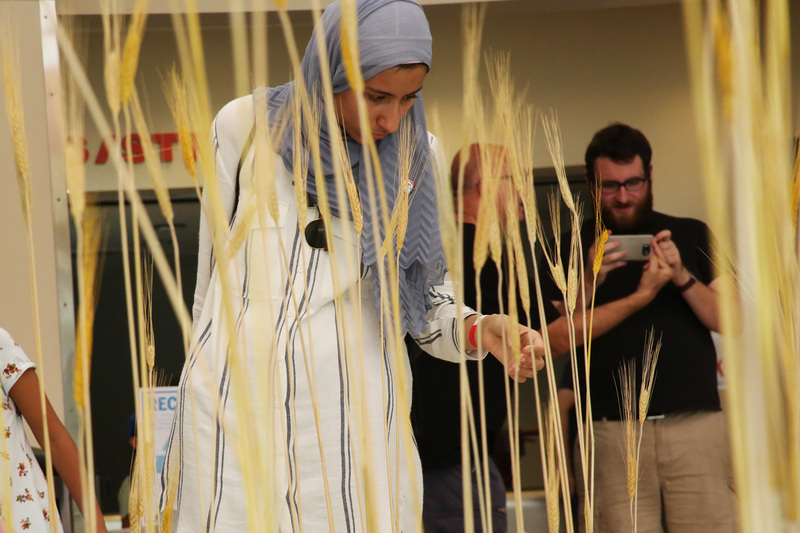 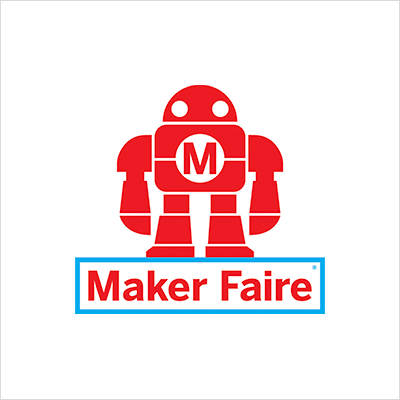 ioNature II is an interactive installation consisting of 212 sets of dried wheat, designed for World Maker Faire in autumn. 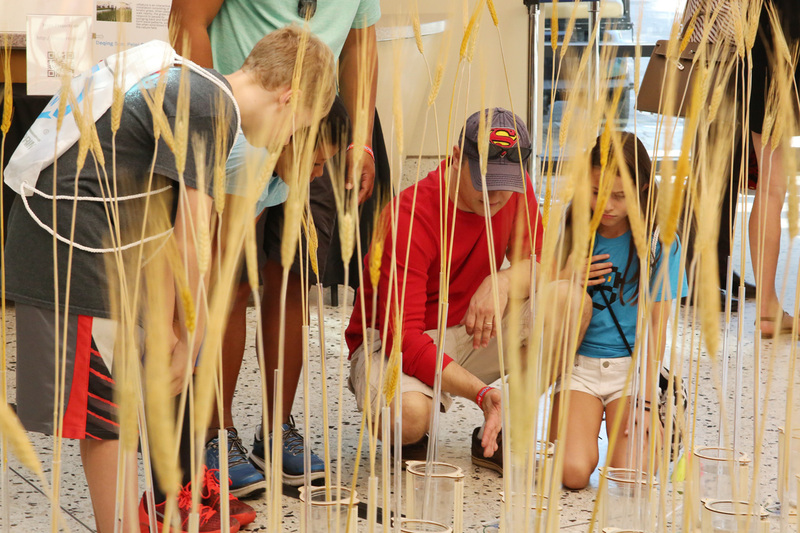 When people walk nearby, the wheat responds to people by swaying back and forth, forming wave patterns, just like when the wind blows across a field. 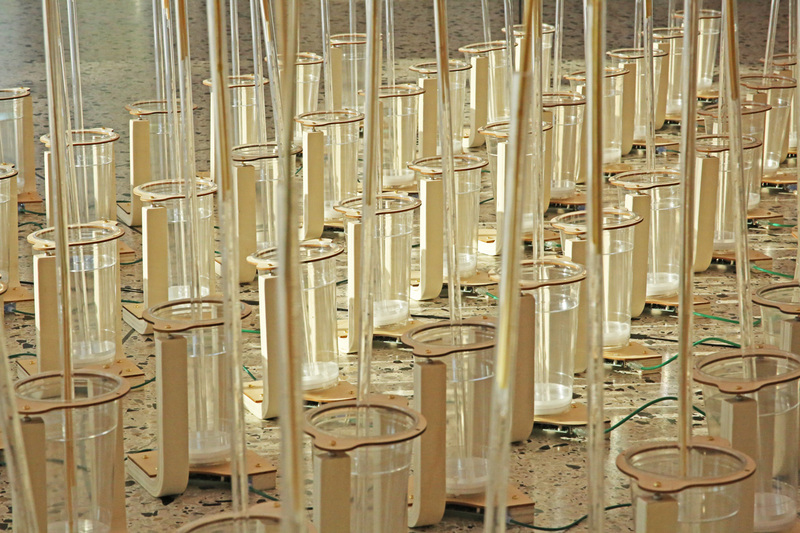 It's an exploration of the question: what will it be like in the future when everything is connected? 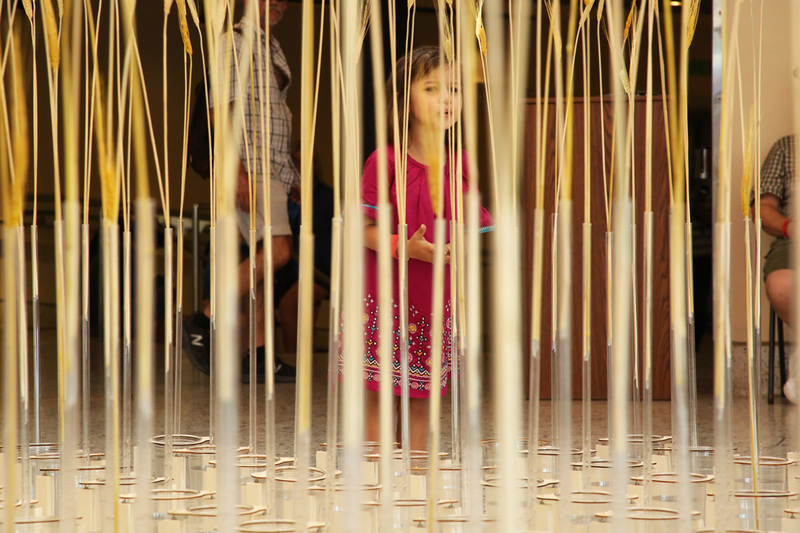 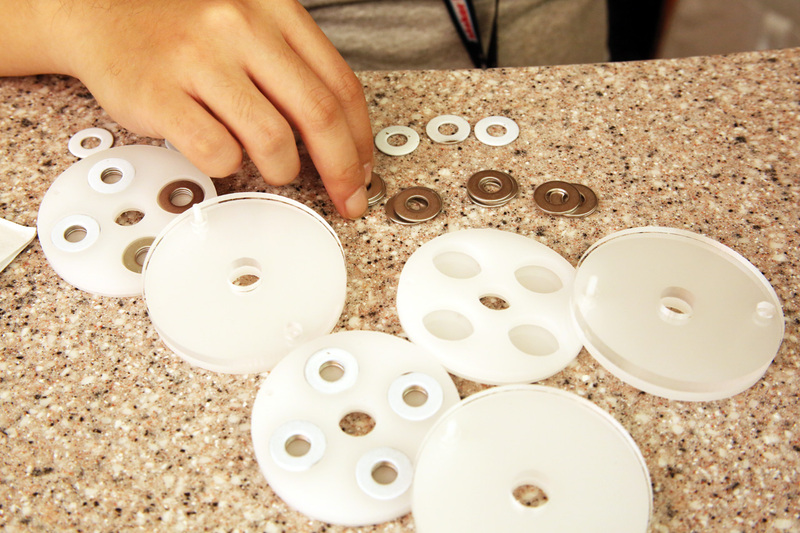 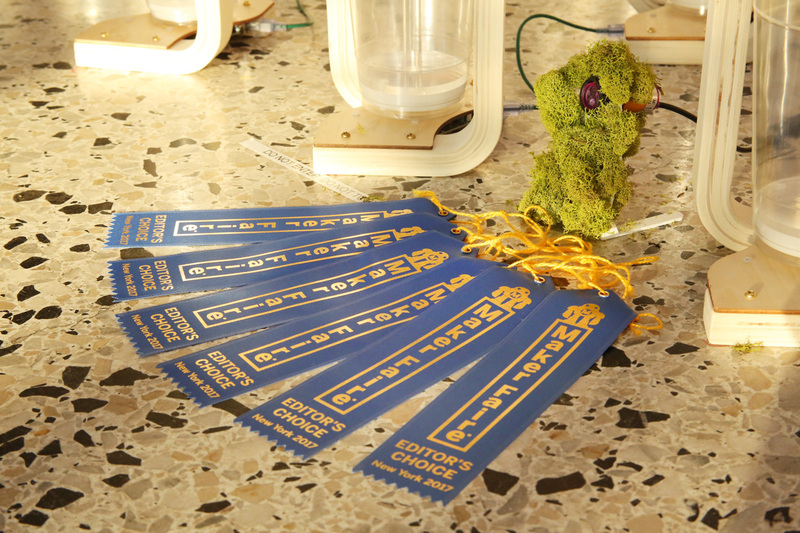 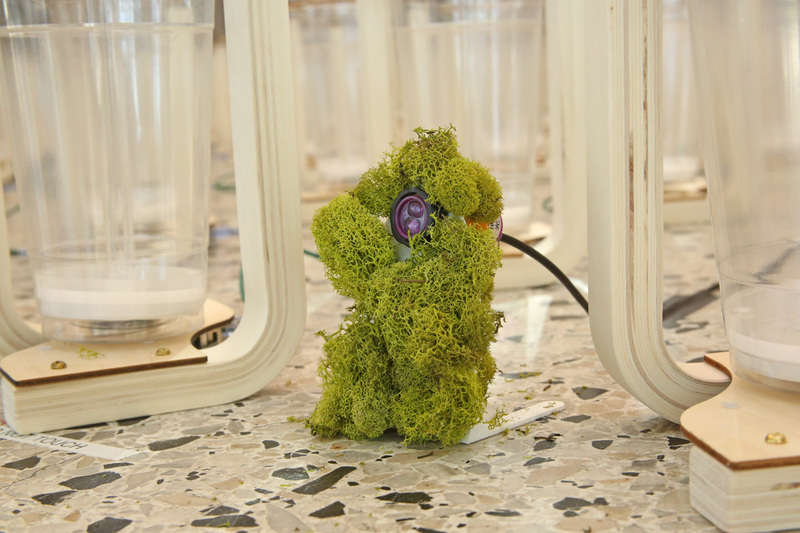 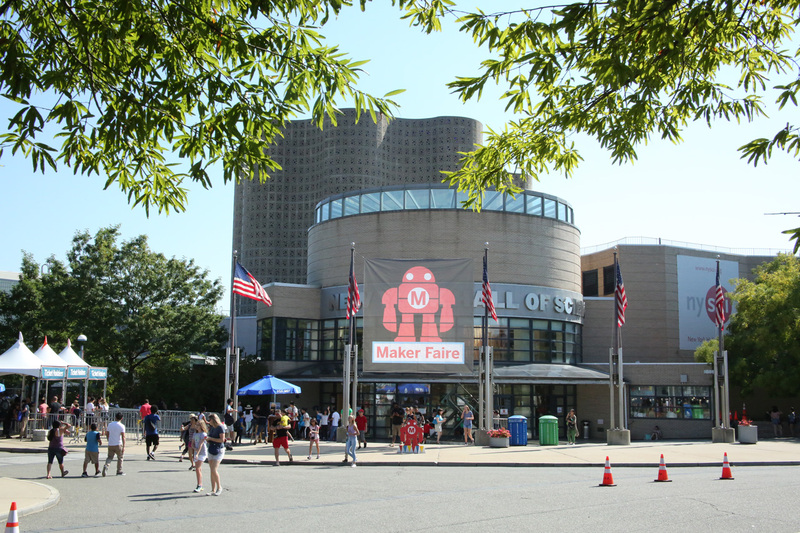 Made with love for interactive installation.